To anticipating and welcoming the provincial re-audit process on the standard of sanitation procedures, Kangjie Sanitation on the basis of daily cleaning, implements refining work and improve cleaning standard to create a clean and tidy living environment for the citizens. 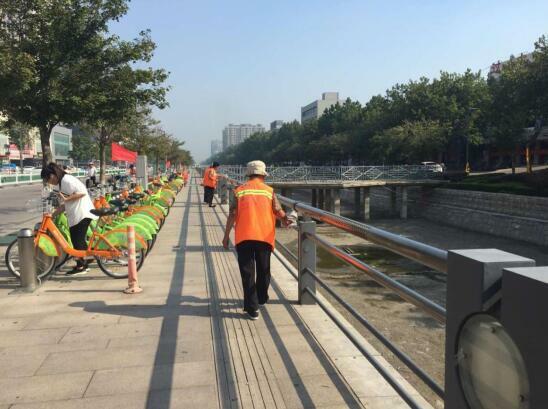 Dedicated Changyi Sanitation workers clean the facilities including the railing, seating bench, bus stop shelter etc located in public areas. They first clean the dirt and stains covered on top of the seats, benches, waiting areas railing; and the road kerbs are being washed through by using high-pressure washing vehicles. 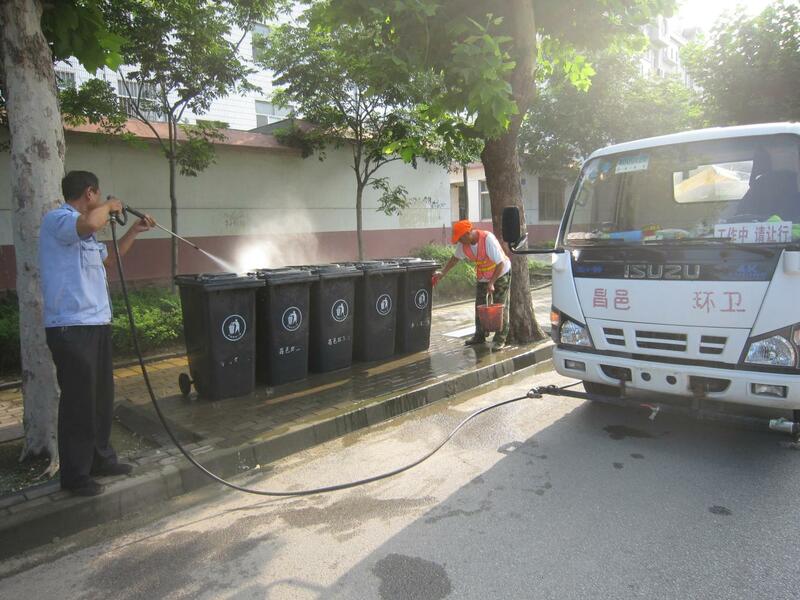 Then, sanitation workers clean the areas with rags to ensure no advertisement articles and the area is free of dirt. By executing the cleaning work so as to ensure the facility is available for public to use, and thus maintaining a good city image.